Have you ever been to Aspen, Colorado? If not, add it to your bucket list, because it’s one of my favorite places on earth to visit! Last week, the Dallas Duo took a trip with the family to Aspen to enjoy the cool Colorado temperature, the gorgeous tree-lined trails, the Roaring Fork River, and of course, all the five-star + restaurants Aspen has to offer! Before I get to the food, you’ve got to hear about our journey to Aspen…it wasn’t as easy as we had planned, but we sure made an adventure out of it! Everything was going as scheduled as we arrived at the airport; plenty of time to spare, and even a little leisure time to spare in the American Airlines Admirals Club. However, just 5 minutes before we boarded the plane, an announcement was made over the speaker that the winds were too strong in Aspen, and our plane was probably not going to make it. After 30 minutes of trying to figure out if they were to send us to Grand Junction or Vail or request volunteers to get off the plane, they finally came to a decision. $500 vouchers were offered, per person, to the first 30 people who volunteered to get on another flight to Vail, Colorado. We jumped at the offer, fearful that if we stayed on the Aspen flight, we might get diverted mid-air to Grand Junction, Colorado. 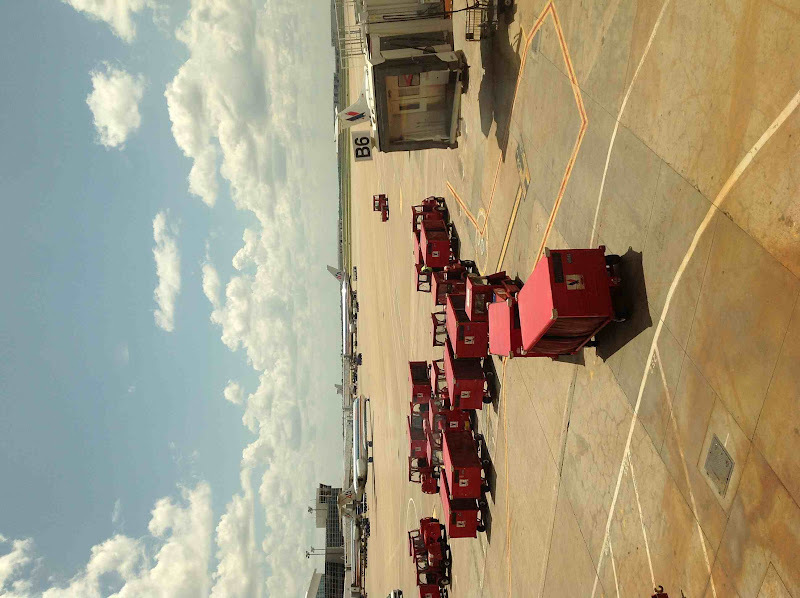 If you’ve ever traveled to DFW, you know its a HUGE airport…I’ve heard the 3rd largest in the U.S., but don’t quote me. Anyways, we were in Terminal C, and the Vail flight was in Terminal B, so we high-tailed it on the sky-link tram, and 15 minutes later were sitting on a nice, big 757 ready to take off. Because of our flight dilemma, the passengers on the Vail flight had to wait an extra 35 minutes for thirty of us Aspen passengers to make the trek over to Terminal B…no one on the Vail flight seemed to complain though :). Finally, an hour later than I had hoped, we departed out of Dallas and made our trek to Vail. Shortly after takeoff, it was snack time! The glory days of free pretzels or nuts may be over, but for a few dollars, you can order a “Triple Shot” Chocolate Chip Cookie (it contained oats, cranberries & milk chocolate chips). 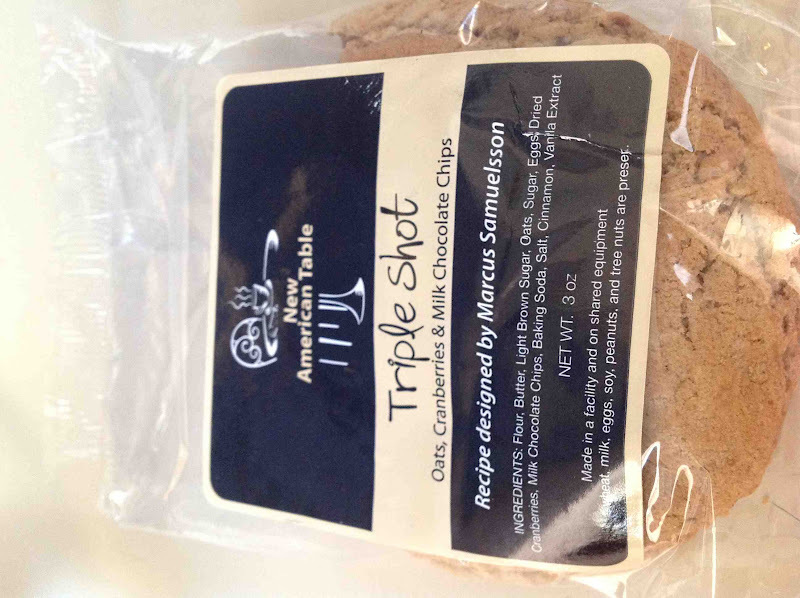 “Triple Shot” chocolate chip cookie on American Airlines. After a short 2 hour flight, we landed in Vail. If anyone knows my husband Matt, you know he’s a talker and very social. Anyways, we got to talking to some random people on the plane and pretty much hitch-hiked a ride to Aspen with two fellow passengers! (The rest of the Aspen passengers road in 15-passenger vans that American Airlines had scheduled for us when we landed). 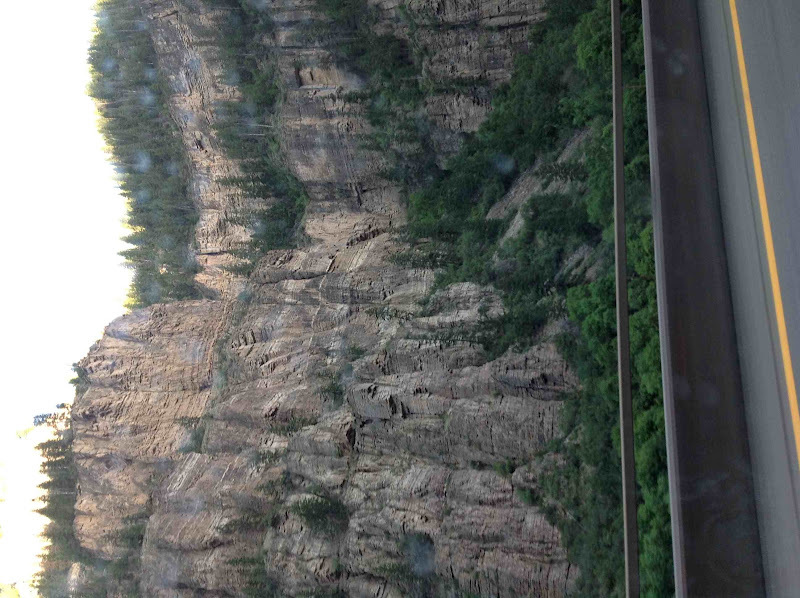 The car ride from Vail was quick…about an hour and thirty minutes. The lady driving was very nice and was actually staying in the same hotel we were: the Hyatt Grand Aspen. 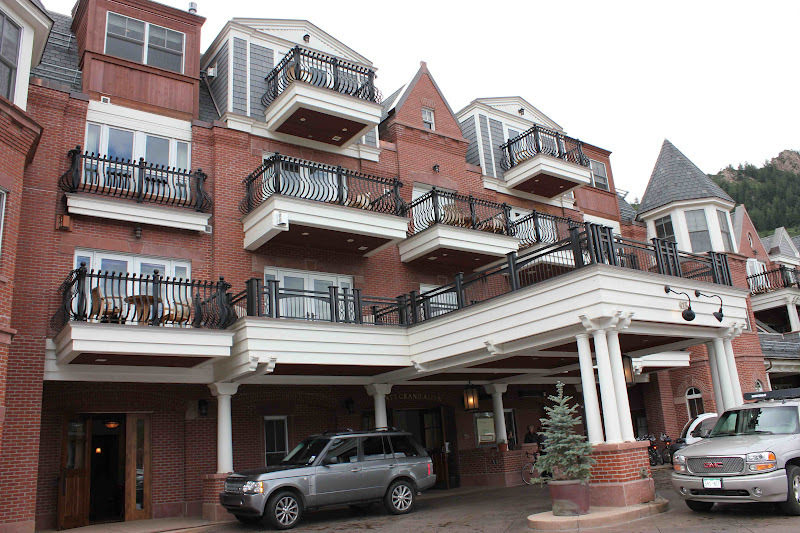 The other lady in the car was on a business trip to Aspen to redesign the St. Regis…what a cool job she has! Driving from Vail to Aspen. Finally, about 3 1/2 hours later than expected, we arrived to Aspen. After nearly what felt like a full day of traveling, we had made it. Time for the relaxation to begin! 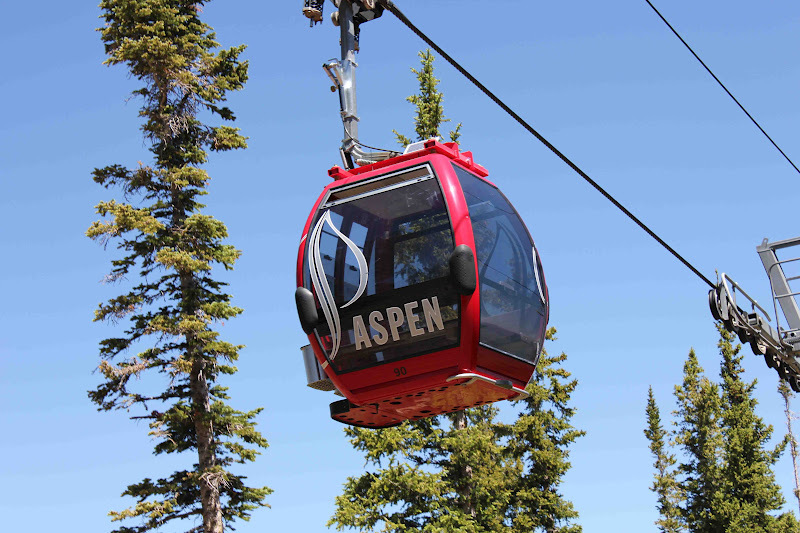 Stay tuned….great Aspen restaurant reviews to come!